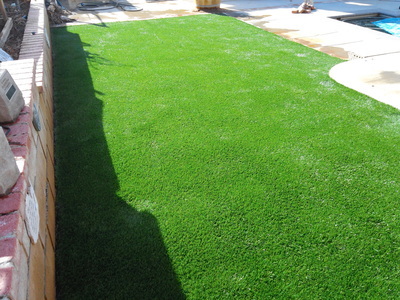 With the help of JNR Home Improvements, you can have dogs, kids AND a beautiful lawn! 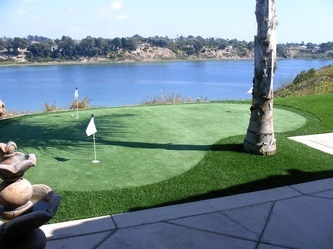 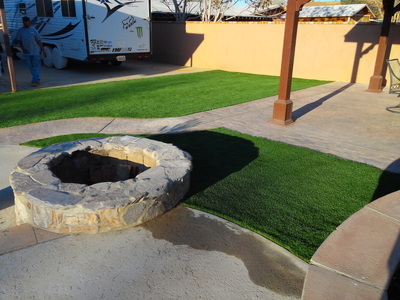 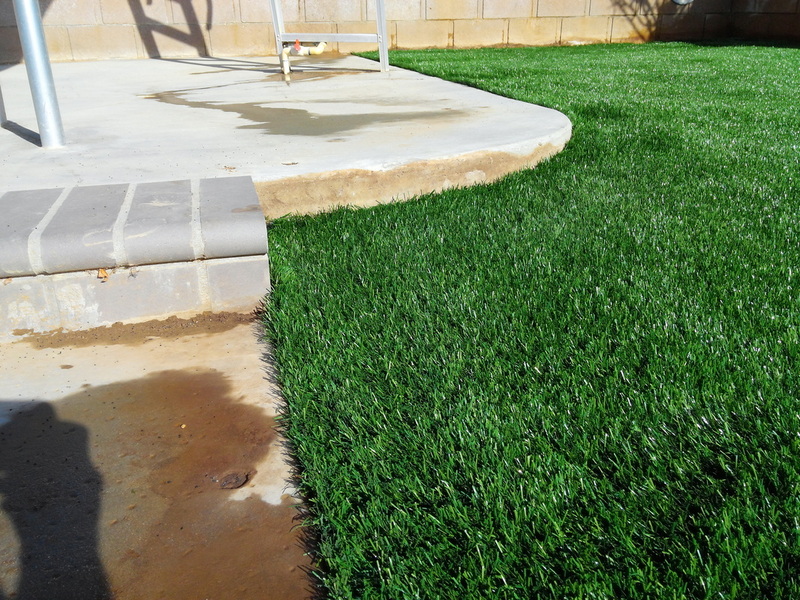 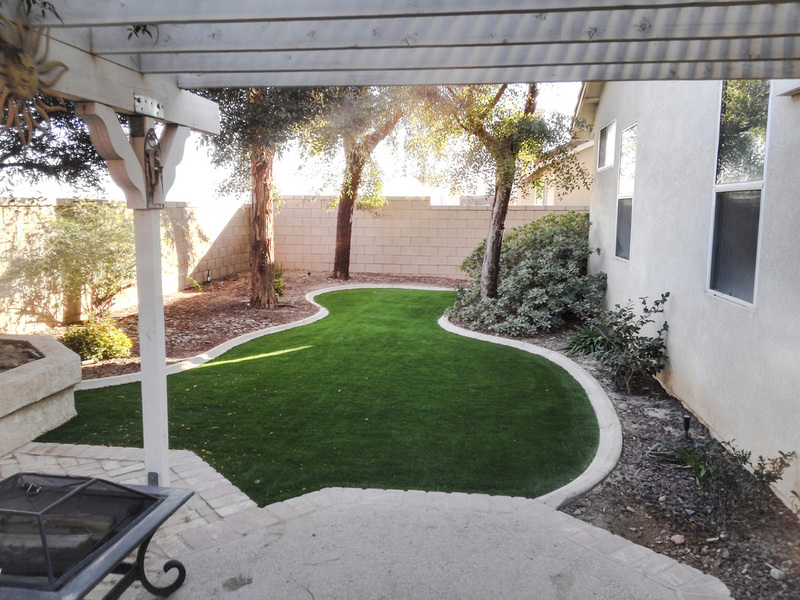 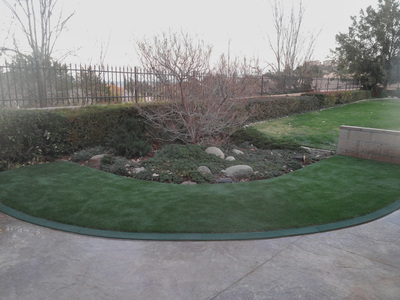 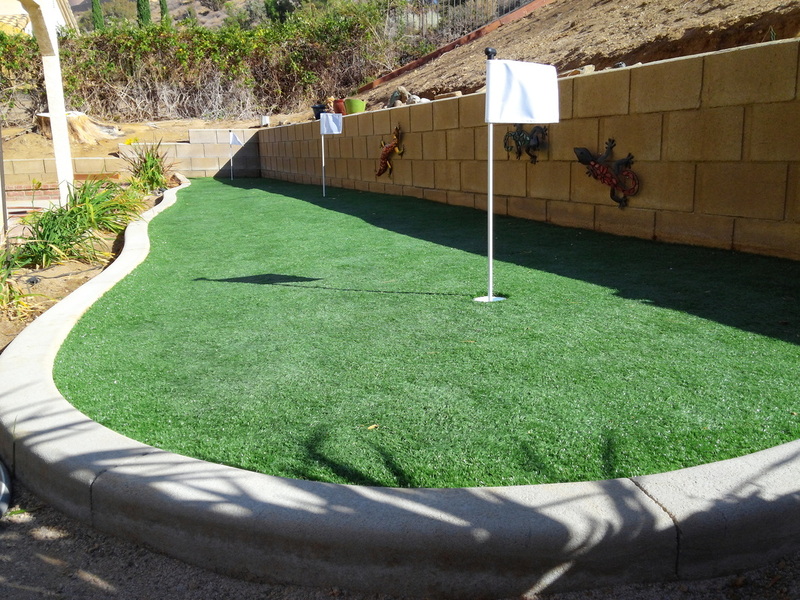 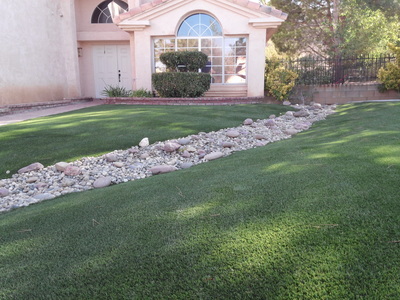 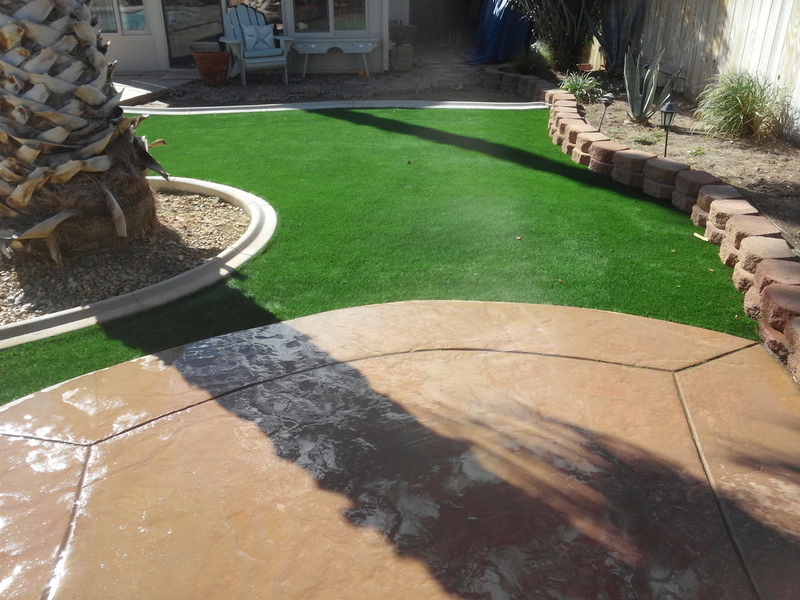 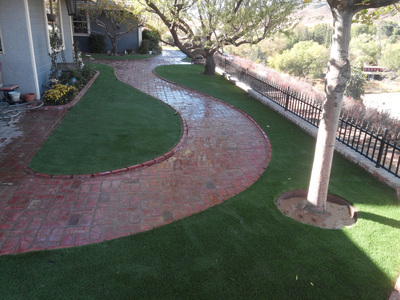 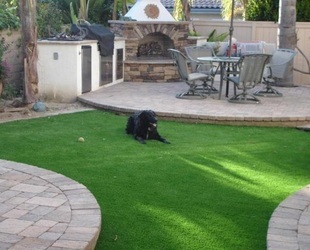 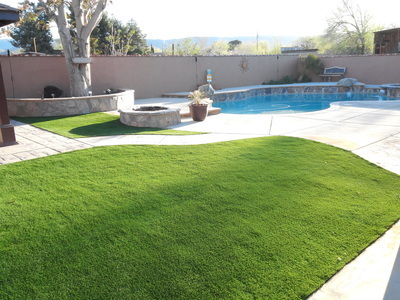 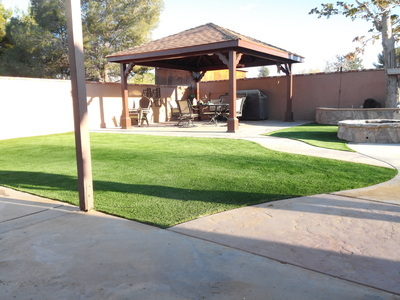 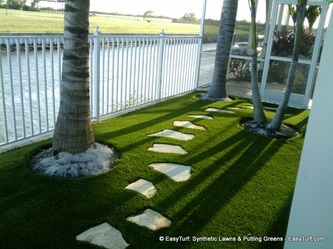 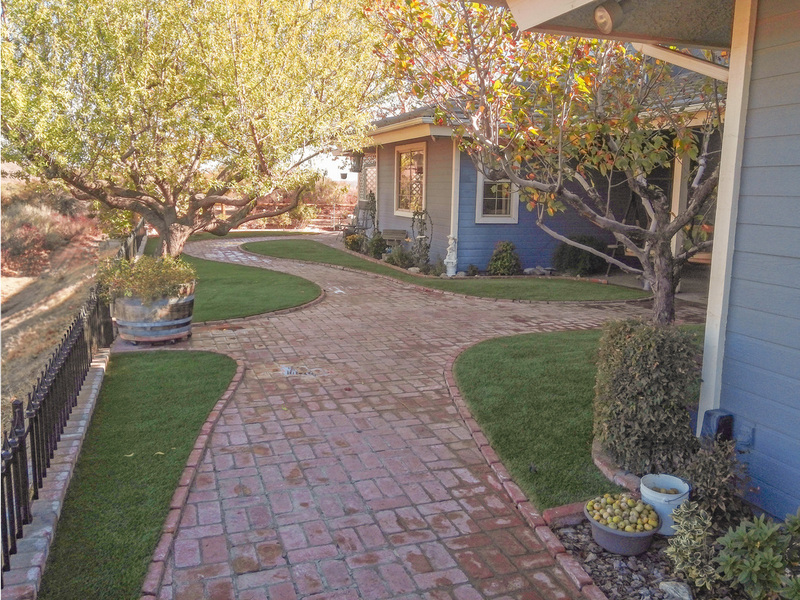 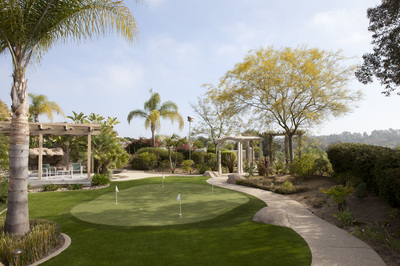 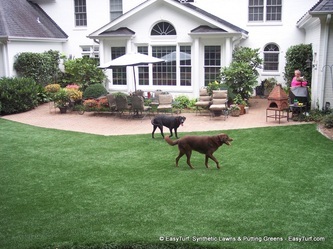 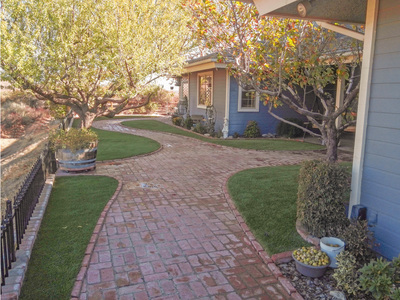 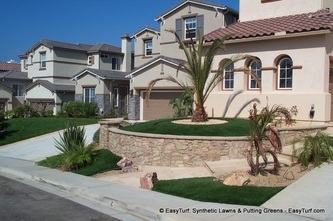 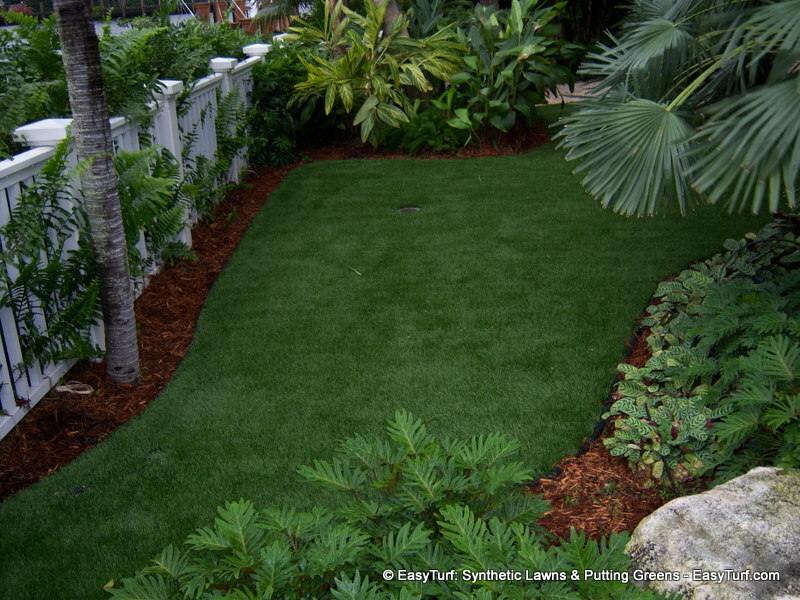 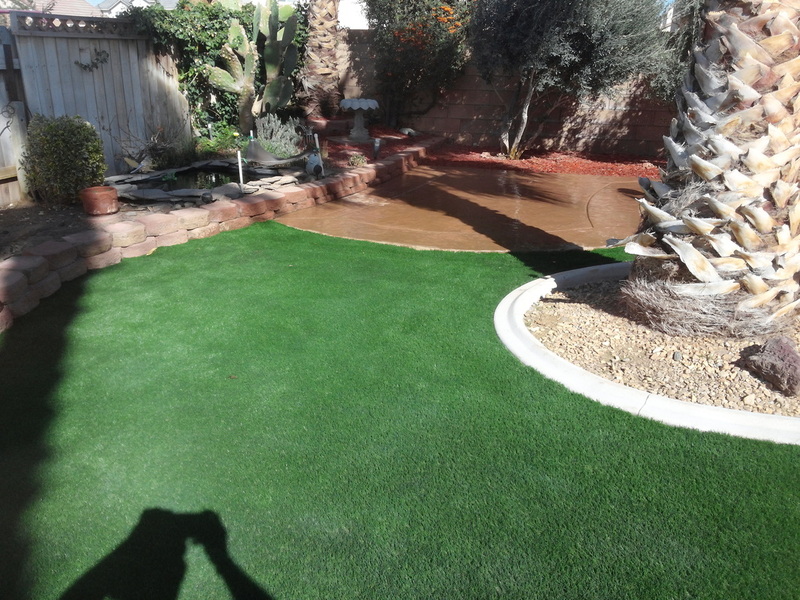 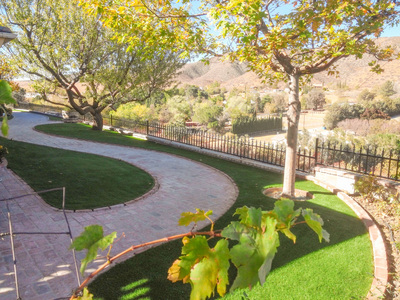 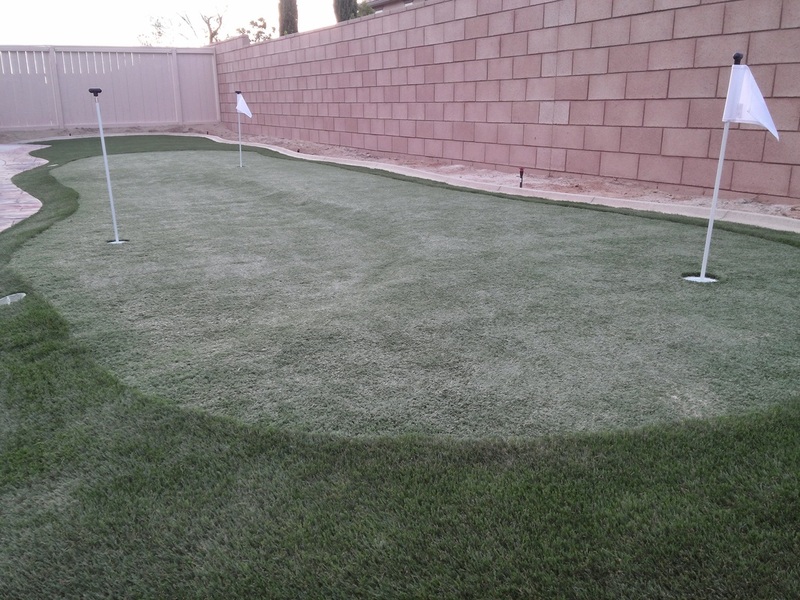 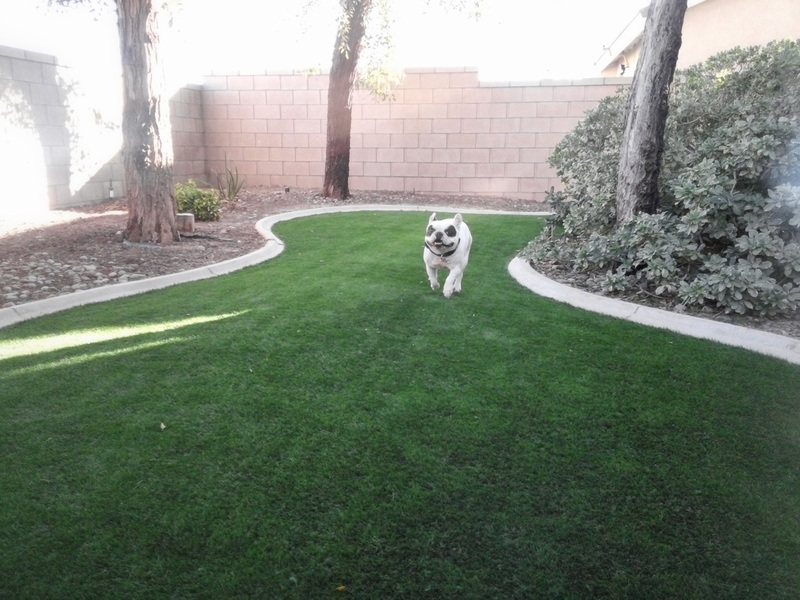 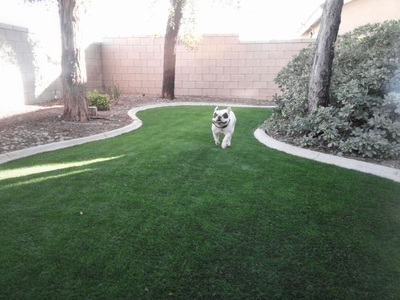 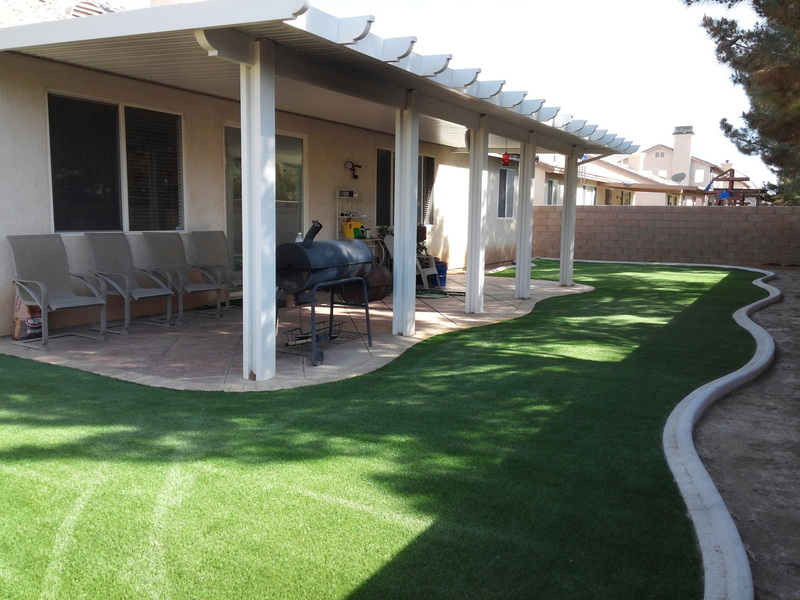 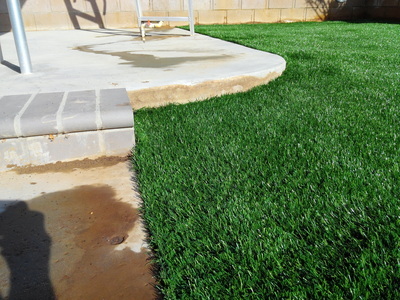 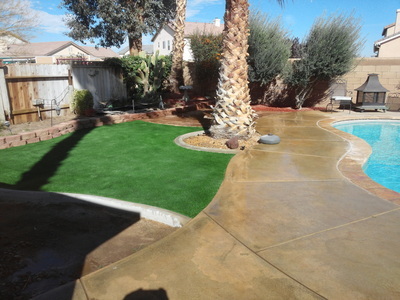 EasyTurf® artificial grass has become the number 1 choice for Antelope Valley and Santa Clarita Valley pet owners because of the phenomenal drainage capabilities. 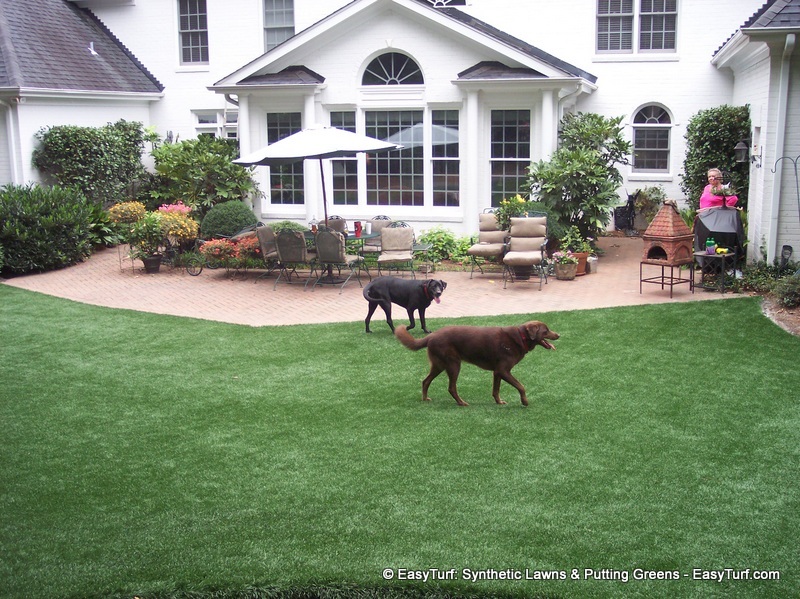 Our patented, proprietary MAXXFLOW drainage technology combined with the unmatched durability and very realistic look and feel leaves both you and your dog happy. 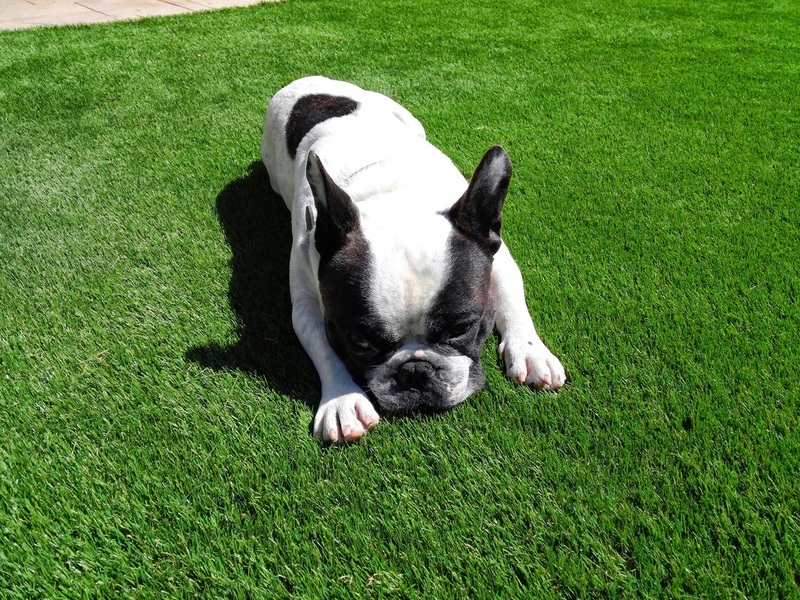 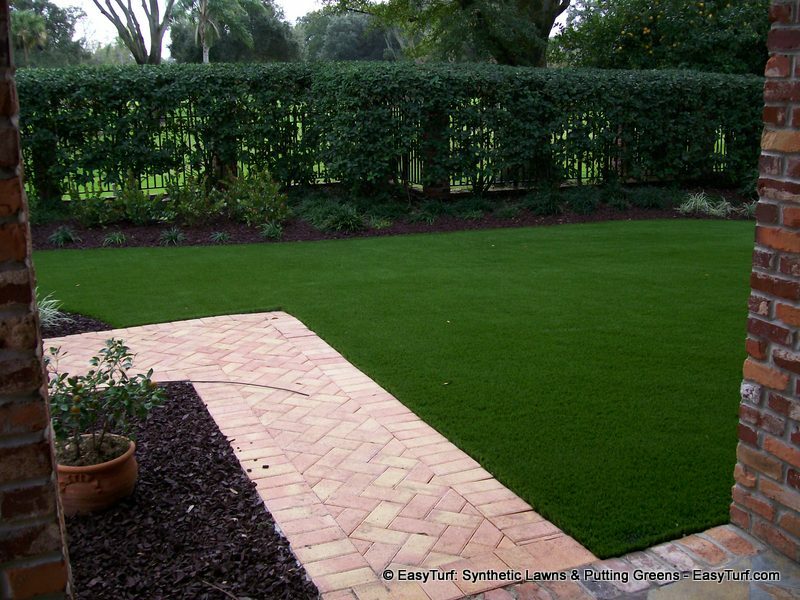 Our EasyTurf® Pedigree, synthetic lawn for dogs will save you thousands in maintenance, gardeners and water over the years. 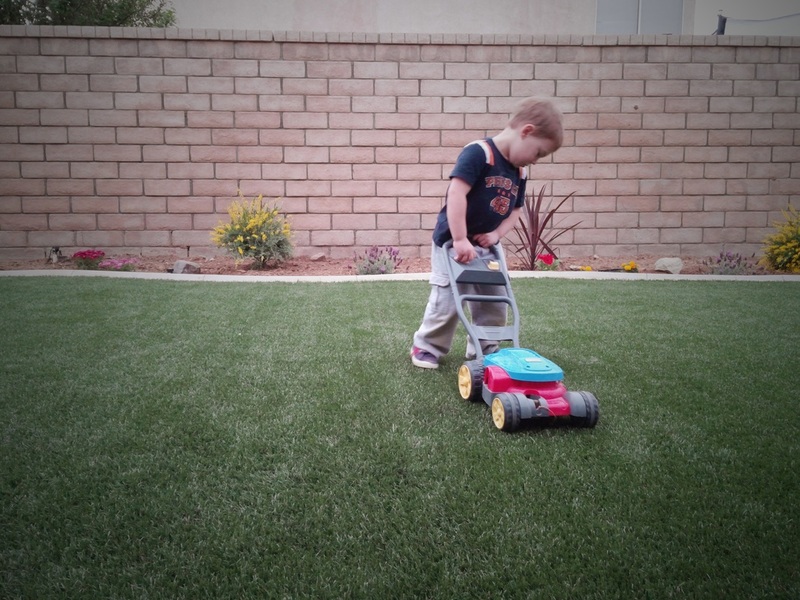 It always looks great and will finally get rid of all the hassles that come along with a natural lawn taking abuse from heavy traffic and play. 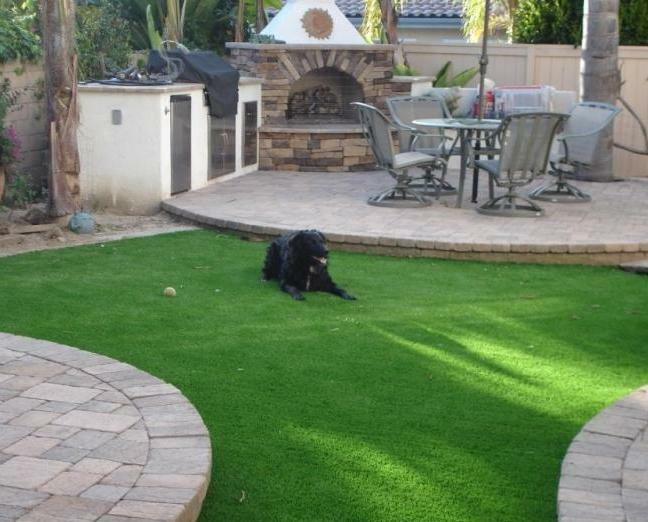 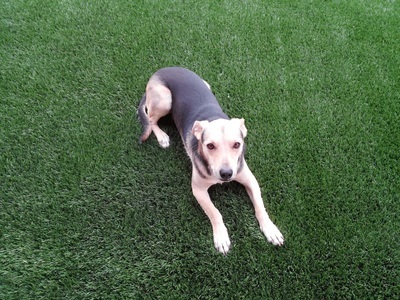 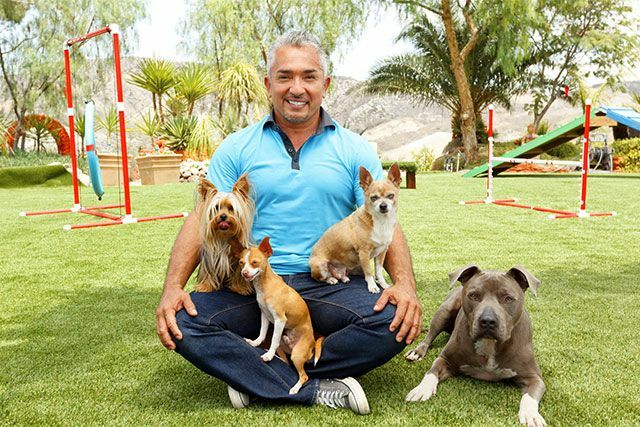 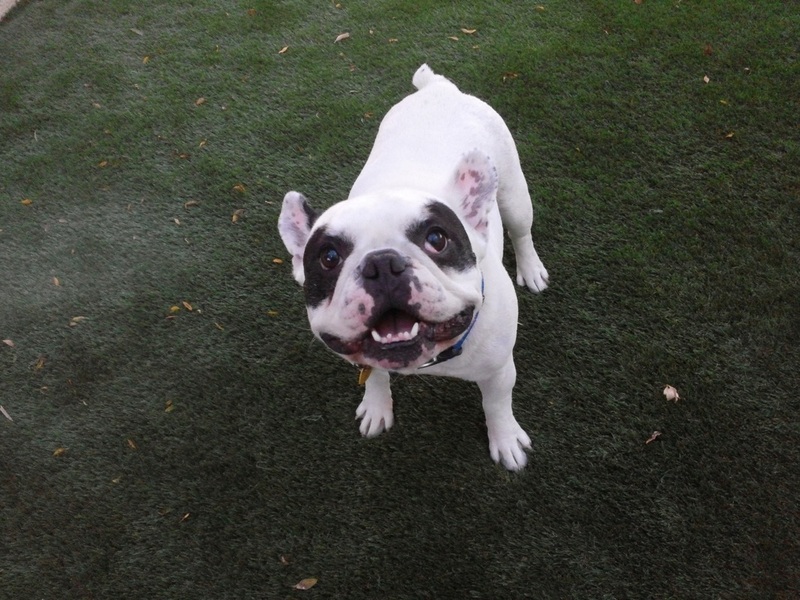 Our turf is so great with dogs ,it is installed at Cesar Millan's Dog Psychology Center in Valencia, CA. 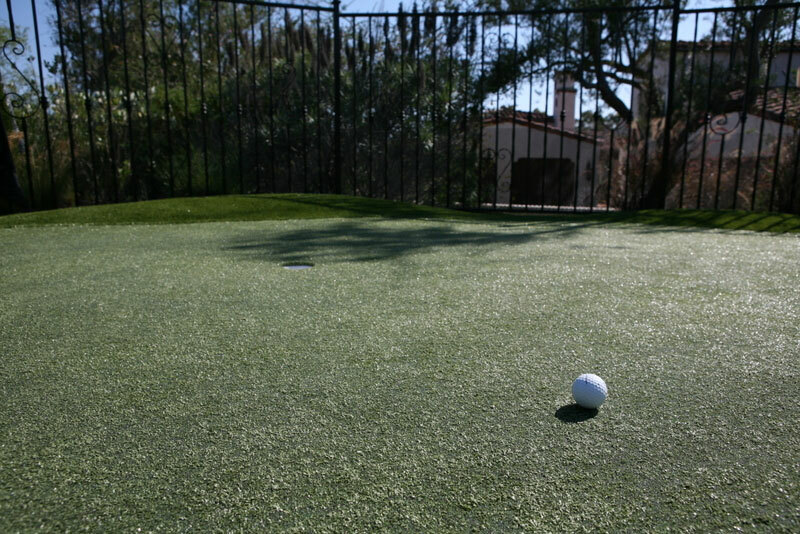 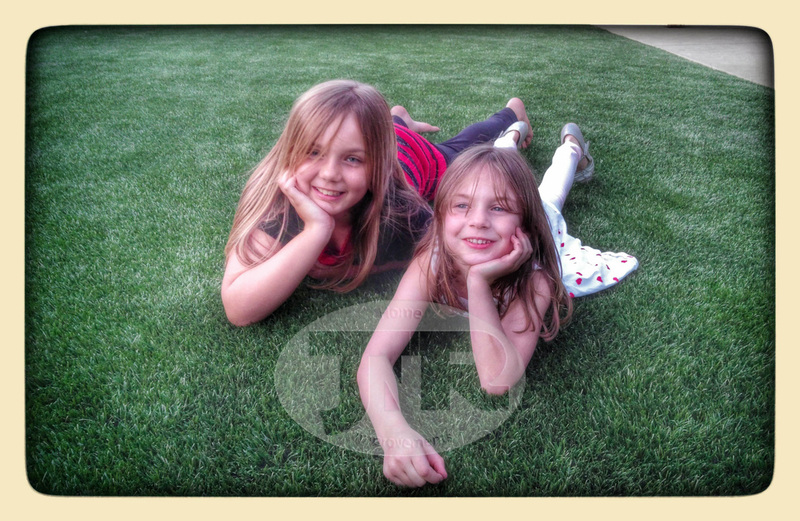 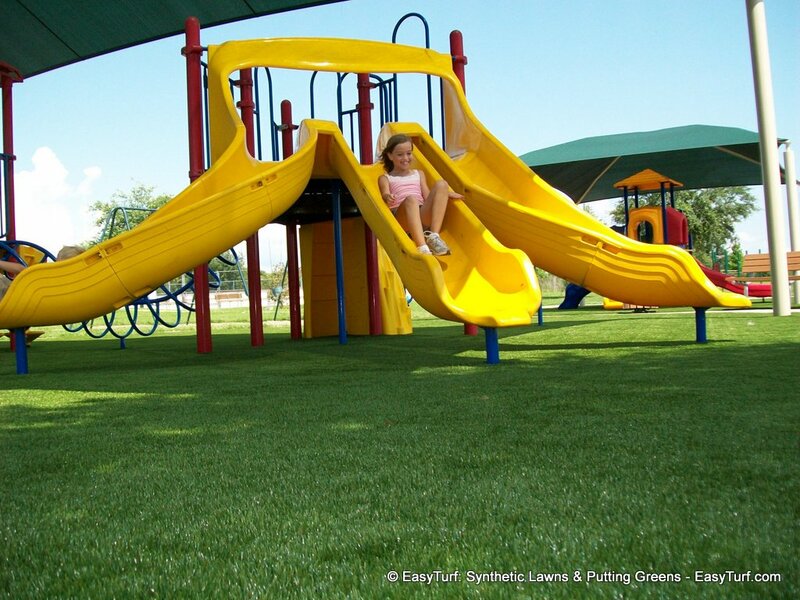 EasyTurf® artificial grass has proprietary technology built in that takes our turf to the next level. 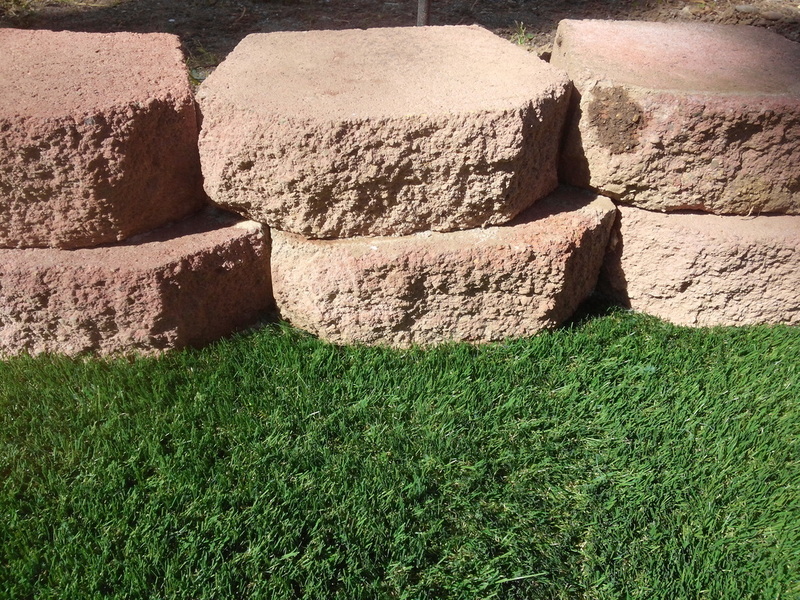 Our "fake grass" has such a realistic look and feel, it will amaze you. 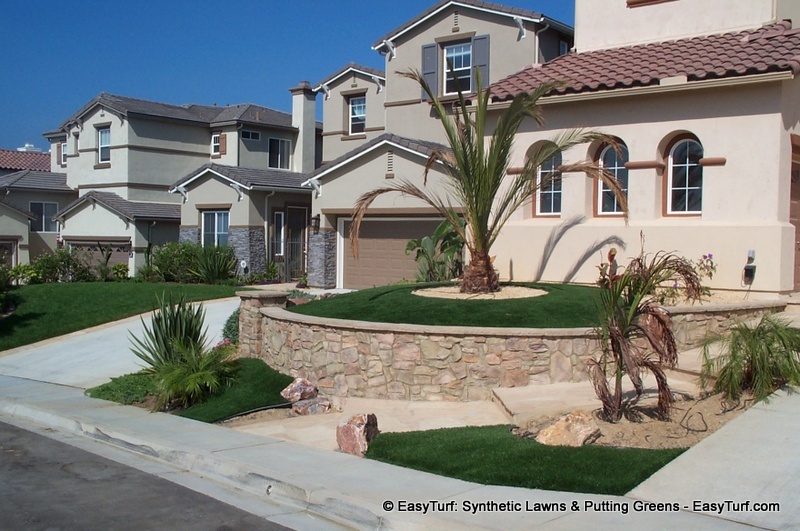 Your neighbors will wonder how you keep your lawn so perfect all year long. 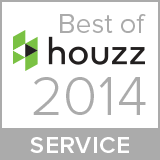 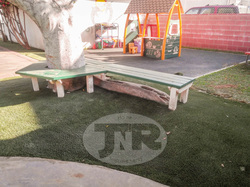 JNR Home Improvements is your exclusive EasyTurf® synthetic lawn dealer and expert artificial turf installer. We've got you covered from Valencia and Santa Clarita to Lancaster, Palmdale and Mojave. Imagine having a perfectly manicured, natural looking lawn, every day of the year. 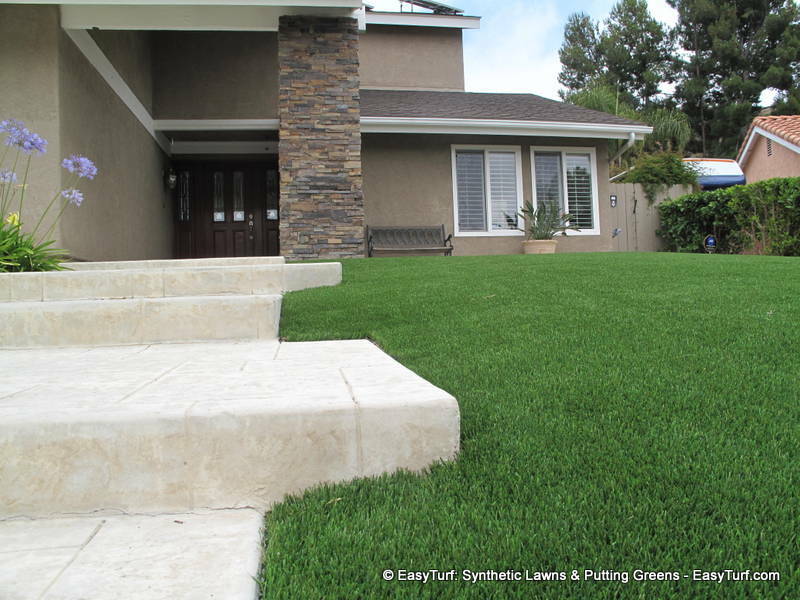 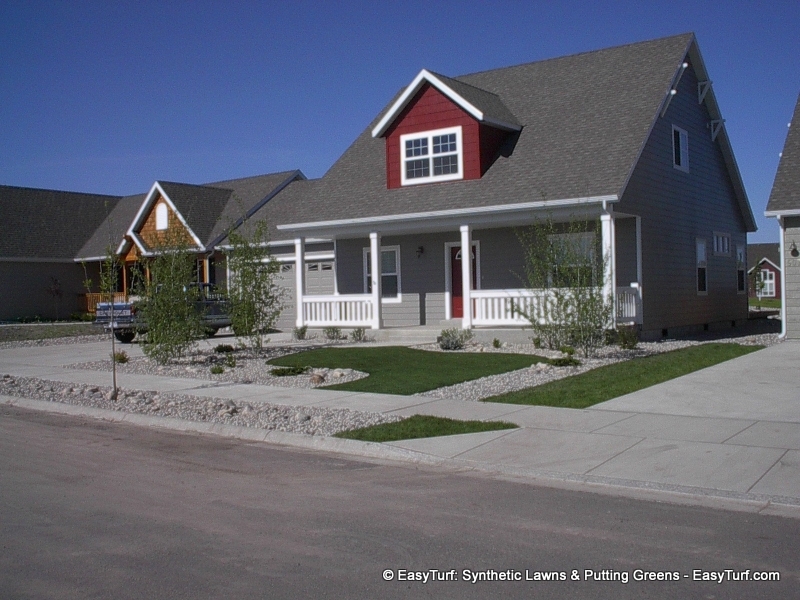 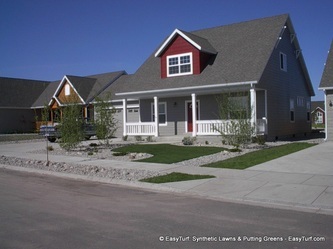 With EasyTurf synthetic grass, you're always the best looking home in the neighborhood. Exceptional durability. Our turf is strong enough for the NFL, it can handle your home team too. 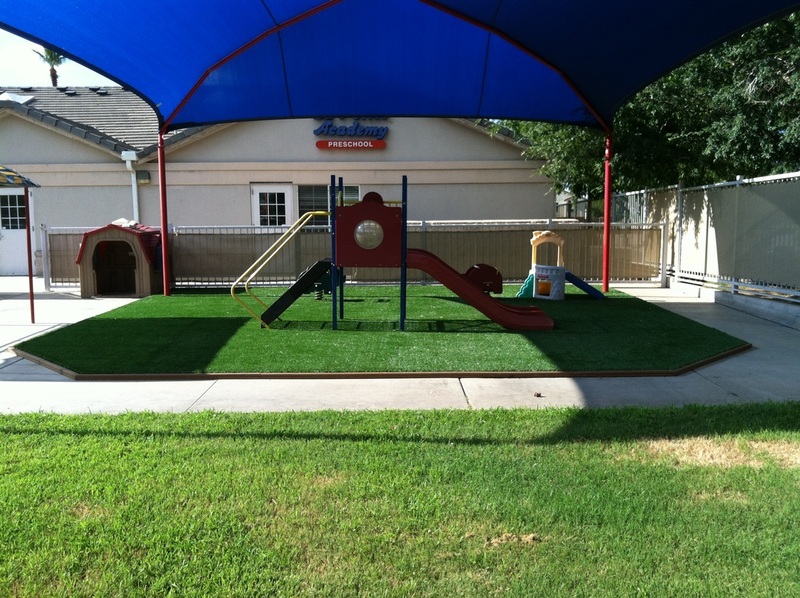 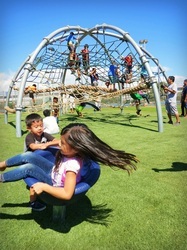 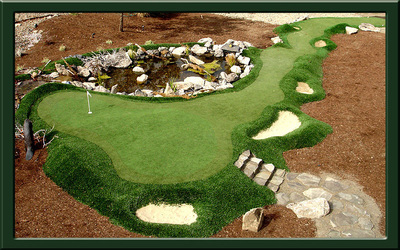 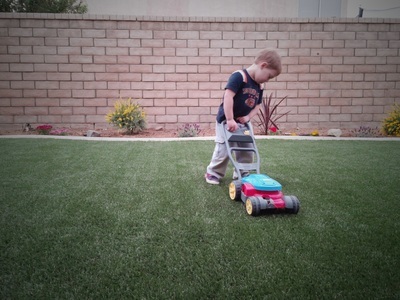 Quality artificial turf is great in playground and commercial settings. 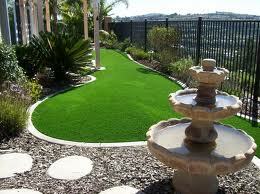 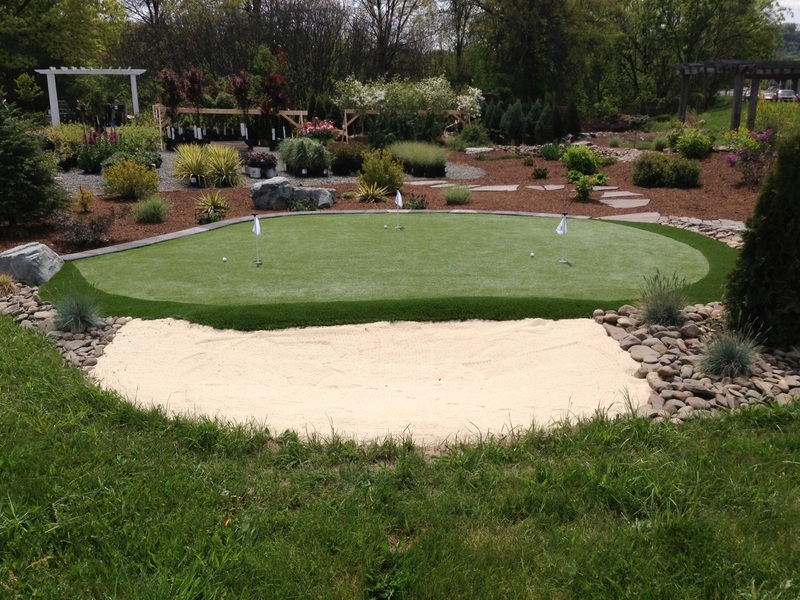 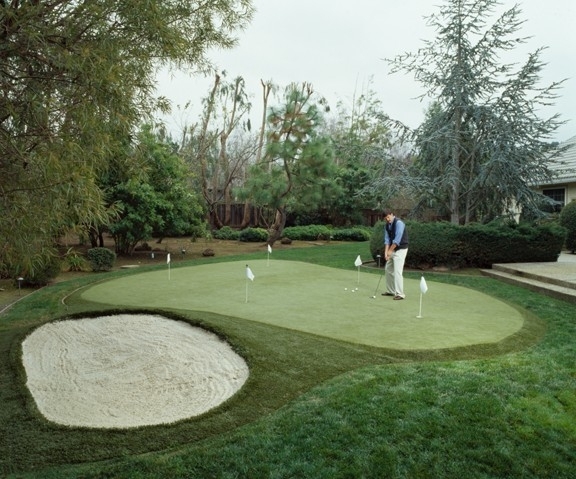 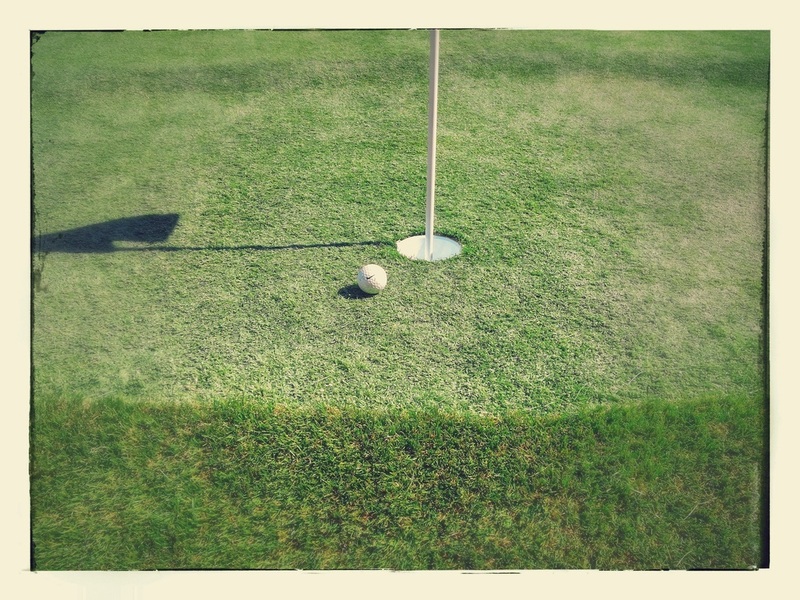 It allows a consistently green, beautiful, manicured appearance while being safer than natural turf. 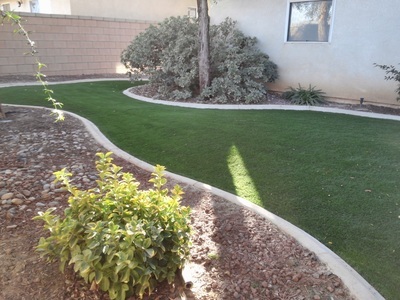 A commercial synthetic lawn virtually eliminates ongoing, noisey maintenance and drives away pests. 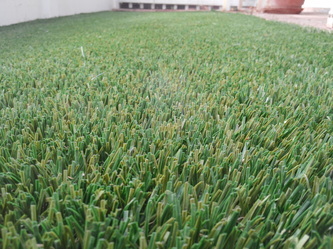 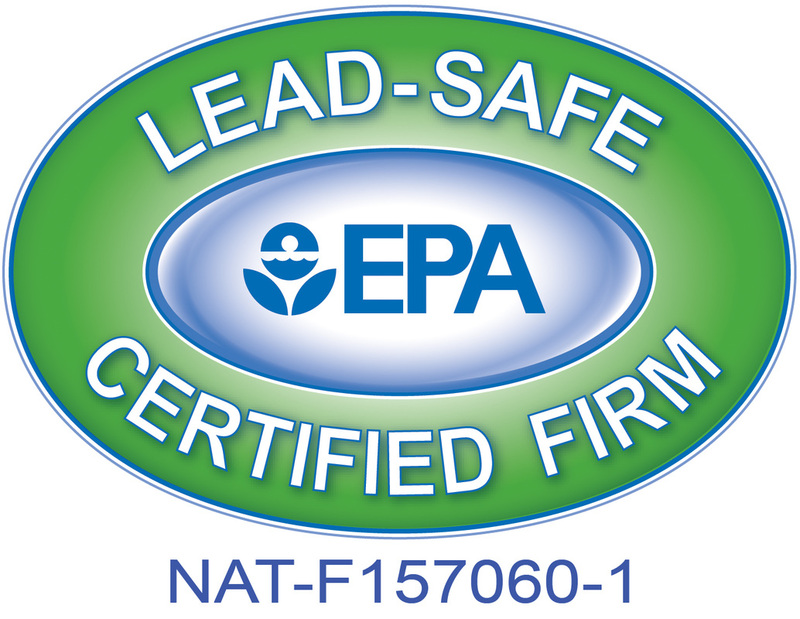 Our artificial turf has a coveted IPEMA certification.